This is the new Inter kit 2018/19, FC Internazionale Milano’s new home shirt for the upcoming Serie A season. 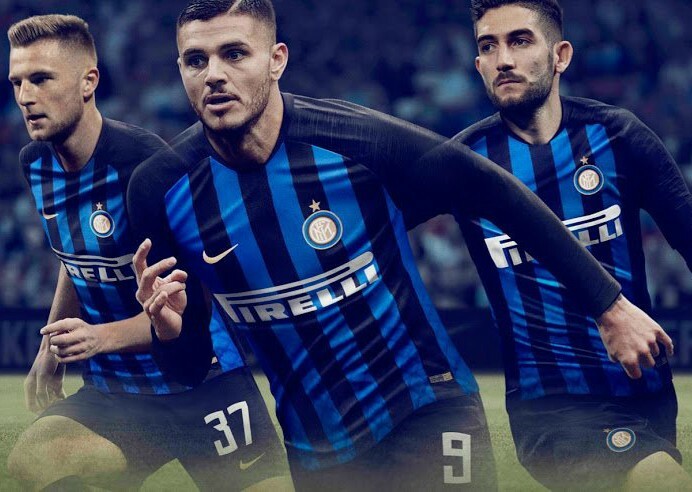 Made by Nike, the new Inter 18/19 strip was officially unveiled on May 16, 2018 by the Nerazzurri. 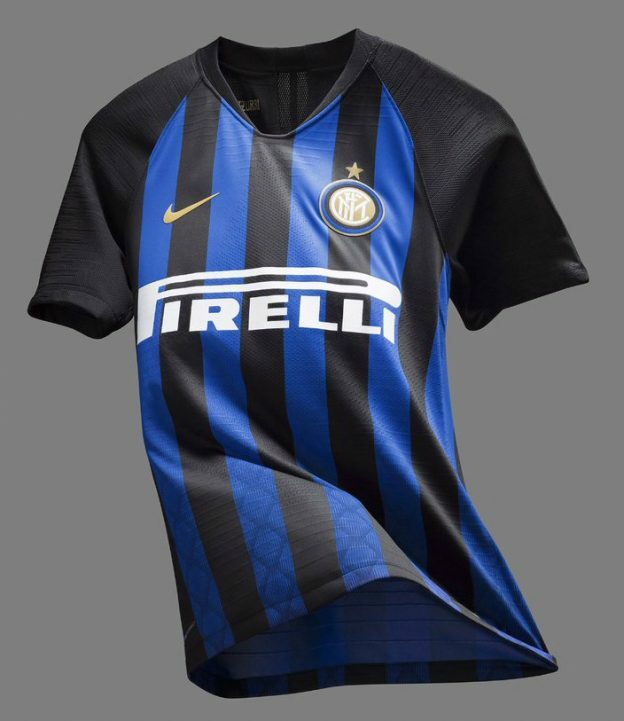 The 2018/19 season marks the 20th year of Inter’s partnership with Nike, and the new uniform is a combination of two previous tops- the first one made by Nike back in 1998/99, and the 2010/11 season which saw distorted vertical stripes used for a snake-like (Il Biscione) effect. 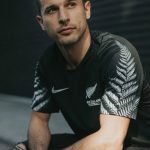 This 18/19 jersey also features a subtle snakeskin graphic, as can be seen in the pics below. The Nerazzurri will finish the season with a tough, but hugely important fixture away at Lazio this weekend. If they win, they’ll pip the Biancocelesti to fourth and take the final Champions League spot on offer. 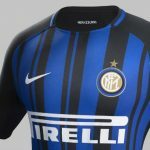 This entry was posted in Italian Serie A and tagged Inter Milan, Nike on May 16, 2018 by Football Kit News. 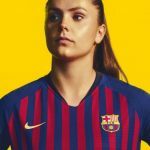 Lovely shirt from Nike. The blue really stands out.